How do I sign up for Grammarly? Some webtexts provide a link to Grammarly so that you can upload your paper and have it reviewed and scored. First, click the link in the webtext that takes you to the Grammarly website. Then click Join Your Organization in the top right-hand corner. 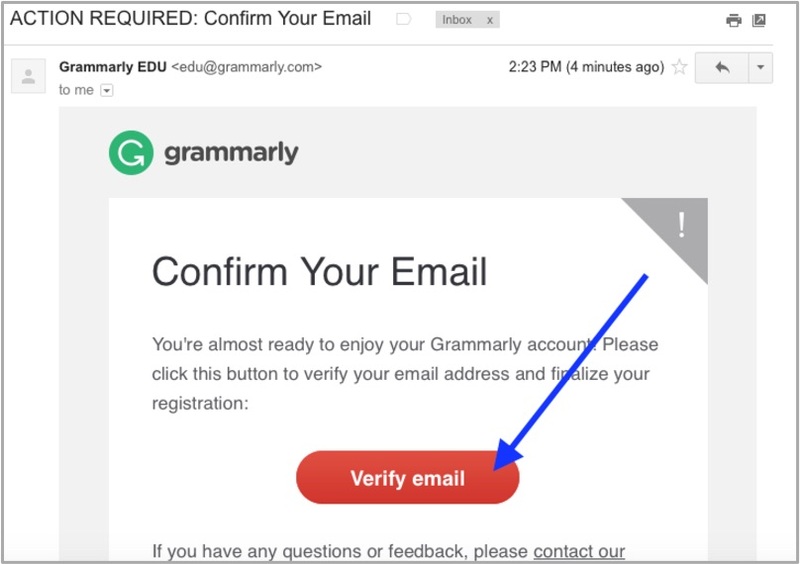 A page will appear telling you that a verification email has been sent to your inbox. Find that email and click on the Activation link. Note: If you don’t see this email in your inbox, check your spam/junk folder; it may be there. You’re done! You can now check your work with Grammarly. 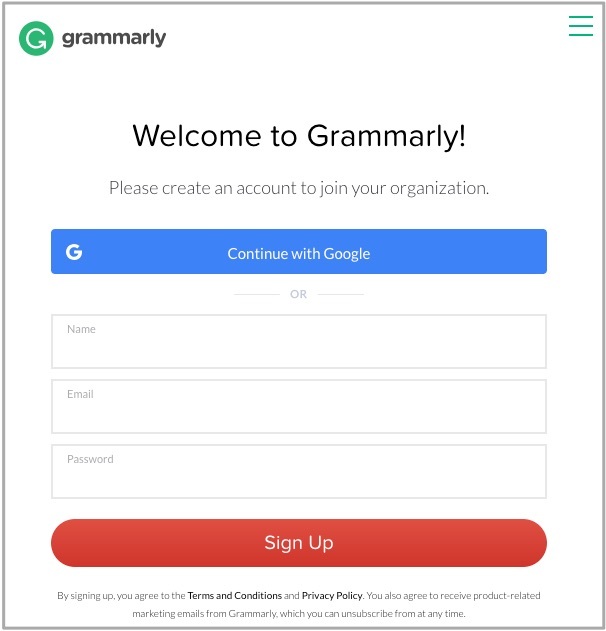 Note: If you have trouble accessing Grammarly, see these instructions or ask your instructor for assistance before answering the questions in the webtext!